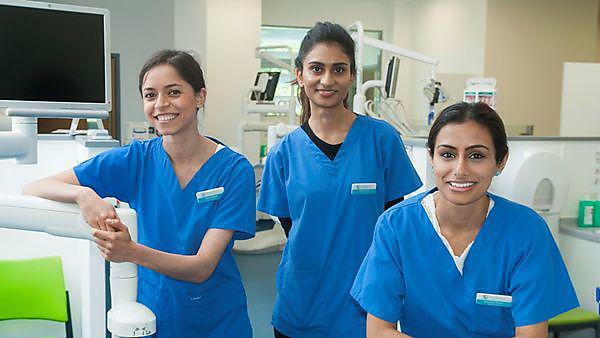 A group of three dental students from Plymouth University Peninsula School of Dentistry are to embark on an elective project in Peru this summer – and they are to use crowdfunding to help them get there and make a difference to local oral health care. Peru suffers from a lack of portable purified water, which means that many local people rely on sugary drinks for their liquid intake. As a consequence, incidences of dental disease are high and visits to the dentist are rare – usually only when the pain becomes unbearable. While Peru has private dentists, treatments are expensive and public dentistry is limited – resulting in long waiting times for those unable to afford private dental fees. According to the World Health Organization there are 1.2 dentists for every 10,000 people in Peru – this compares with 5.2 per 10,000 in the UK. The students will be working in two hospitals: one is the oldest hospital in Peru and the other one of the largest. Both will offer the students useful experience in busy hospital departments, looking at a range of cases including extractions, scalings, fillings and maxillo-facial surgery. Sarah, Sapna and Amreeta are hoping to fund their trip via Crowdfunder, an exciting and innovative way to raise money for the project. They need £3010 each to pay for their trip, and individuals can help to raise that amount by pledging sums via their Crowdfunder webpage.